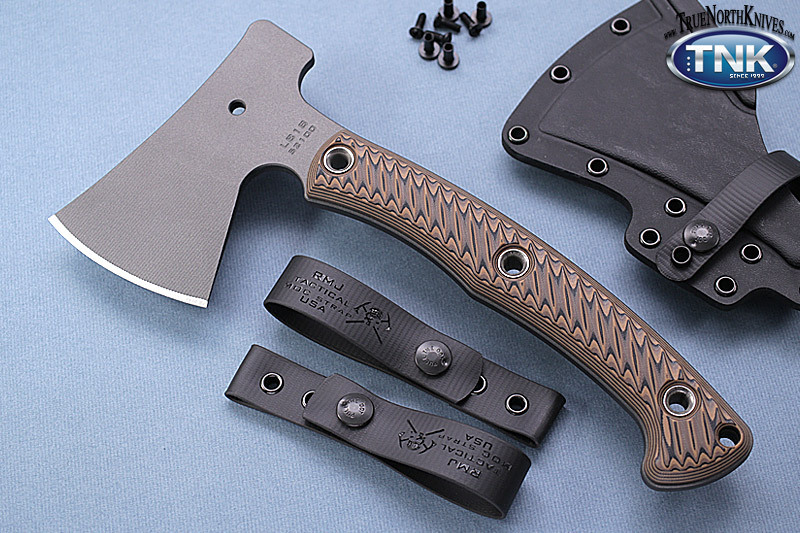 The RMJ TACTICAL LITTLE BIRD is a shorter yet stout general use/camp axe designed to take on your daily adventure chores. The semi-bearded design lets you get a high grip on the stem for more control in finer work. The hammer poll profile lets you drive stakes with ease, and the thicker stock with wider edge face makes for a good chopper despite the shorter, smaller profile. The beveled G10 grips feature a diagonal grooved texture for extra grip without be aggressive.